The acquisition is being touted as Accenture Interactive’s biggest acquisition since it was founded 10 years ago, and is aimed at giving what the consulting giant said is a distinct marketplace position and new approach to brand building and marketing services. Droga5 was founded in 2006 and has built an enviable list of clients over the past 12 years across the US and UK, including Amazon Prime Video, Tourism Australia, The New York Times and Game of Thrones’ Super Bowl surprise. It’s also won a number of Cannes Lion and North American Effie awards. “The future of brand building is not just about creating great ideas; it’s about creating great experiences,” said Accenture Interactive global CEO, Brian Whipple. 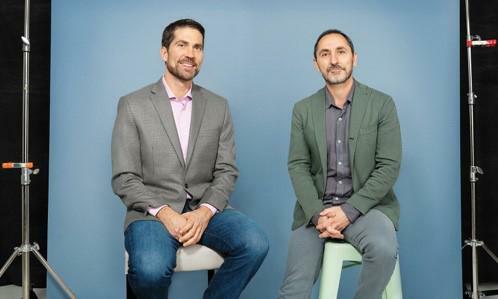 “We’re excited to work with David Droga and his team of brand strategies and creative minds to further our ambition to improve the full human experience with brands. Financial terms have not been disclosed and the subject is still subject to antitrust clearance and closing conditions. Moving forward, the companies said Droga will remain creative chairman, while global CEO, Sarah Thompson, stays in her role. Droga5’s UK CEO, Bill Scott, also stays in his post, working in partnership with the rest of Accenture’s management team, and the rest of Droga5’s 500 employees will become part Accenture’s creative services engine. The Droga5 purchase caps off what’s been an aggressive acquisition course chartered by Accenture over the past six years that’s seen the group pick up more than 14 businesses. Among the initial acquisitions was design firm, Fjord, ecommerce specialist, Acquity Group, and Australian digital agency, Reactive Media. In 2017, Accenture has picked up Australian creative agency and design outfit, The Monkeys and Maud, which worked on campaigns such as Telstra’s Thrive on, Meat and Livestock Australia’s You Never Lamb Alone, and Qantas’ Dreamliner launch. Last year, Accenture said it was investing in a suite of programmatic services in-house including media planning and buying. The company posted record net revenues in the 2017 financial year of $34.9 billion, with ‘new’ net revenues from digital, cloud and security services lifting 30 per cent to $US18 billion to account for half of all revenue. Both Accenture and Droga5 were listed in the top 10 of Fast Company's most innovative companies list in 2018.